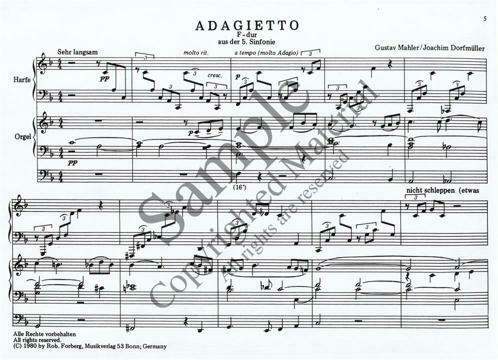 Mahler&apos;s heart-rending "Adagietto" is the most performed movement of his 5th Symphony. It has appeared in the film Death in Venice and Leonard Bernstein conducted a 1968 performance in St. Patrick&apos;s Cathedral, NY at the funeral of Robert Kennedy. 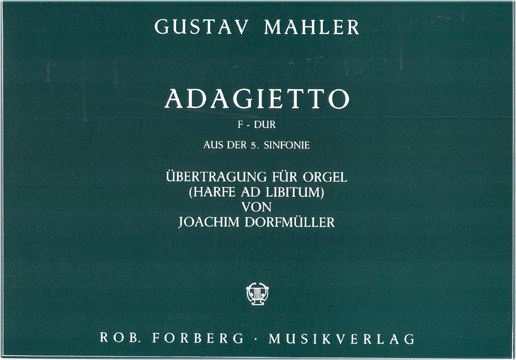 The harp part floats over the sehr langsam line of the string accompaniment which is beautifully recreated in this edition by the organ.